Collect sales as early as possible. Pay bills as late as possible. Rule 1: Collect sales as early as possible. E-commerce companies typically collect payment before providiing services. For example, online subscriptions typically collect payment before the customer can access the product. As long as your customers are willing to go along with it, this is a great thing. 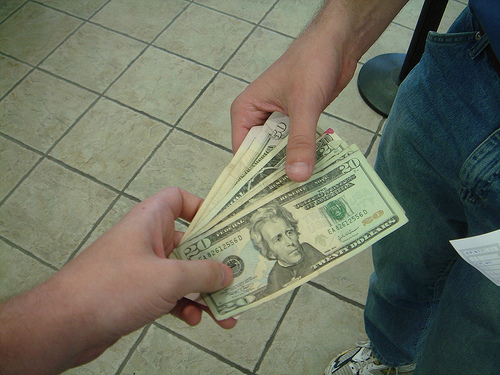 It is also a common strategy in the online world to give things away for free. But such freebies usually cost nothing to reproduce (e-books, etc.). Do not risk giving away costly products before you get paid for them. And (even more importantly) don’t risk not getting paid for services and products that cost you money. Rule 2: Pay bills as late as possible. When you buy goods and services, suppliers will often permit you to pay your bills 30 or even 60 days after you receive the goods. Take advantage of these policies. Pay these bills on the last date possible before they become overdue – not sooner, not later. A consistent history of on-time payments will help build positive relationships with your suppliers. Then list the cash flows that you realistically expect to come in and go out over the next few months. Watch the “balance” column – if it goes negative, then you need an additional positive cash flow to avoid an overdraft. Over here, I posted a simple Google Docs Spreadsheet Template to plan cash flows, and a video explaining how to use it. If you find this post helpful, please let me know in the comment box below. « How much is your self-employment tax?